Your kitchen is the hub and main gathering place of your home. And counter tops are a major factor in deciding on the color palette of that room. So the choice of your counter tops is a very important way to enhance your personal style. With so many options around, choosing your counter tops can be very confusing. 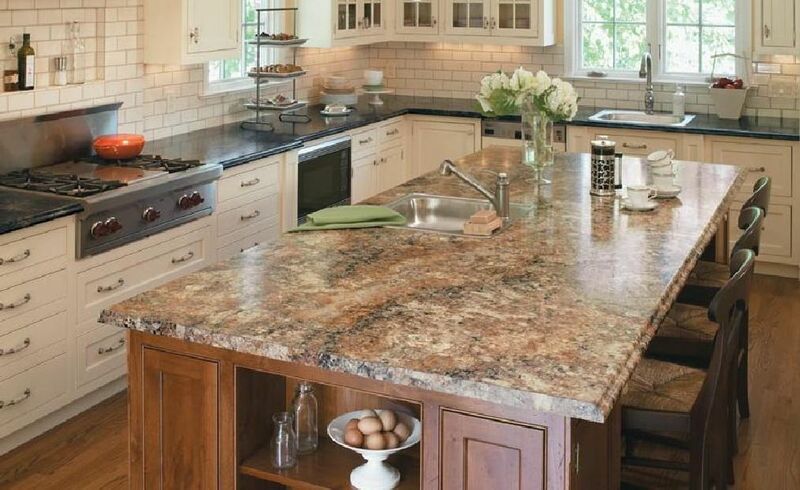 Here is a list of 6 types of counter tops that are the most popular among homeowners. Soapstone is a wonderful, choice for a busy kitchen. Durable, stain and bacteria resistant, it can withstand a lot of use while keeping your counter tops germ-free. At $80-$100 per square foot it may seem like a bit on the pricey side, but it a real investment in your home’s overall value. 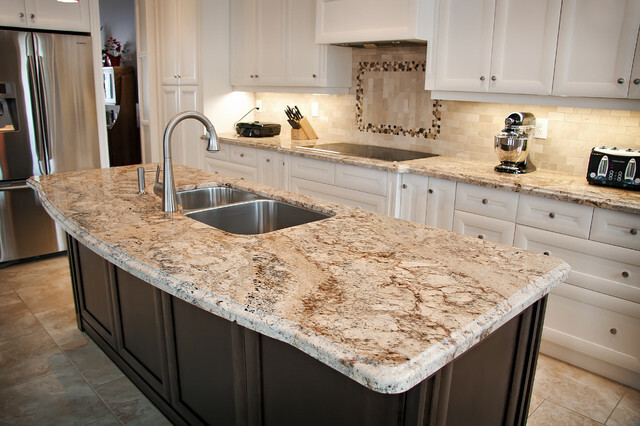 Granite is a real go-to option because of its versatility, durability, wide variety of grains and colors. If it is well sealed it is more durable than most other surfaces. It can be very cost-efficient running as low as $50 per square foot, but the price can go up depending on how customized the stone is. If your home is very customized, quarts may be just for you. It comes in almost every hue imaginable, and is engineered of quartz, resins and color pigments. 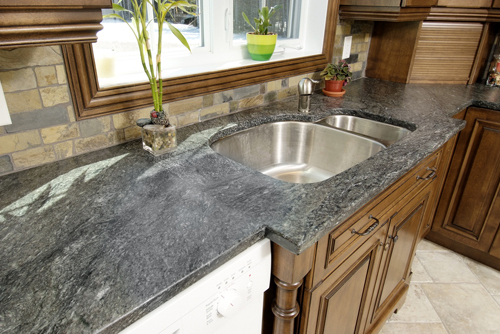 Non-porous, and great if your home is “green”, quartz counter tops come at a price though. They can run anywhere from $95-$105 per square foot. Concrete may not be as cost-effective as other surfaces but it is very easily customized to your specifications. Different, colors, textures and stains, can make this surface your own very easily, and properly sealed this might be worth the investment. It can cost from $100-$150. Laminate is a very popular alternative for many who swear by it. It can simulate many more expensive surfaces, and with a price tag of $8-$20 per square foot it seems very cost-effective. But it is not a very durable surface so it would not be recommended for very busy cooks and heavily trafficked kitchens. 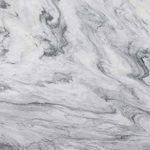 Not being the most durable counter top surface, marble is still considered the surface to choose. It develops a brilliant patina as it’s used, and comes in a wide variety of designs on its surface. The other down side is that marble can scratch and stain more than other stones. At a cost of $70-$100, it is a classic choice for many.